Appointment was on time. Staff very helpful and friendly. Dr. was caring and attentive. Great experience! Dr. Shafipour is very knowledgeable, and his staff is efficient and helpful. Very easy appointment. From booking, to checking in, to meeting with Dr. Shafipour. Very pleasant experience and will be going back. Dr. Shafipour is one of the best doctors I have ever had. Not only is he a skilled one, but he generally cares about the well being of his patients. Very professional, efficient, giving enough explaination. Dr. Shafipour is a BLESSING! I was just sharing a praise report w/ my Wife Tamara about how the good Dr. has been helpful in every way. Weight loss and nutrition and now he has solved my lifelong foot pain problem. Thank you Dr. Shafipour! see you in a month hopefully 10 pounds lighter. Great doctor, great nurses. Thanks! I’ve been looking for a PCP for quite some time and was referred to Dr. Shafipour. I was very impressed with my first visit. He has a very kind and friendly demeanor. He really took the time to listen to my concerns and answer questions, and was patient and thorough with explanations. His staff is great, too - very attentive and organized. I highly recommend and am happy to have found him! He is amazing and so kind! Very comforting doctor! 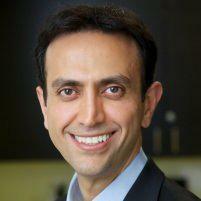 Dr. Shafipour is one of the most caring, committed and effective physicians in the area. Period. Great visit. Very efficient & friendly staff and caring doctor. Warm welcome and a great visit! Front office staff are great.Did not wait more than 10 minutes which is often unheard of when visiting the doctor. Dr. Shafipour answered all questions so I understood why he chose the particular treatment protocol and thoroughly addressed all my concerns . Highly recommend this office if you are looking for a GP even though there is a wide range of treatments besides general care that are offered here. I would recommend Dr. Shafipour to a friend. Dr.ShafiPour takes time to listen and understand the issue and offers good treatment options and suggestions. happy with my visit.